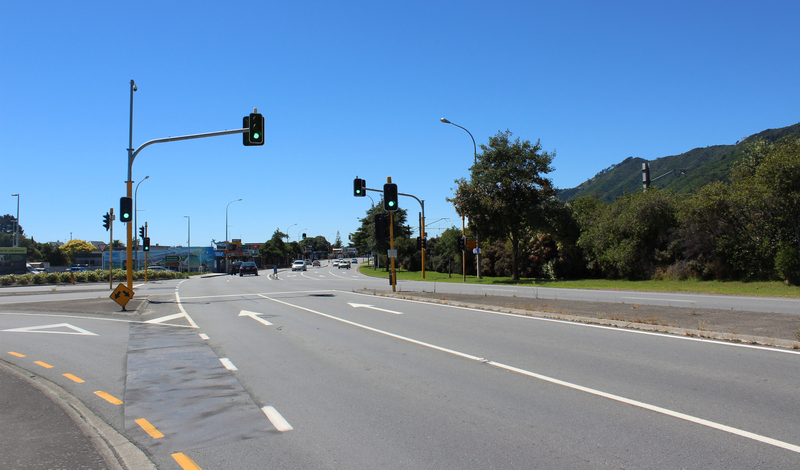 the Main Road through Waikanae — other than replacing the concrete of the medians, does it need any changes? 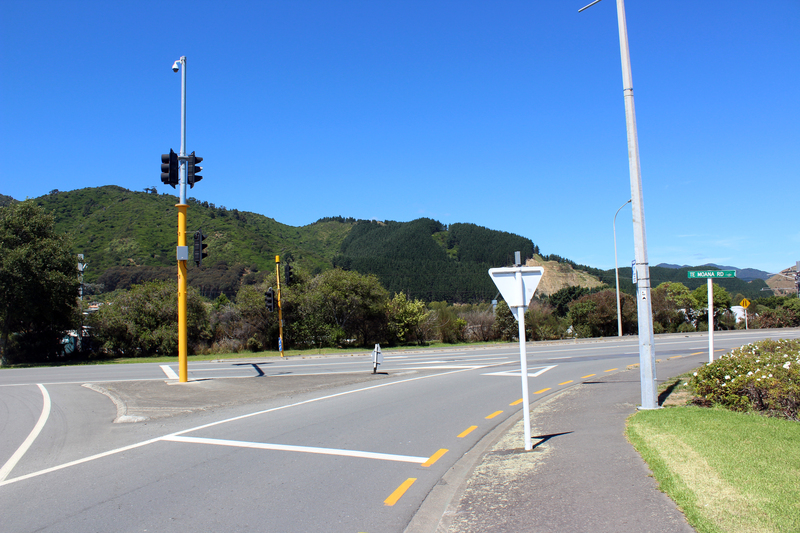 As can be seen in item 11 of the ‘Waikanae Masterplan’ produced by the KCDC, it and/or the NZTA propose to spend $3 million on this approximately 1 km section of the road. The above two photos show the Main Rd / Te Moana Road intersection now. What is so wrong with it that it needs that kind of money? Those concrete medians need replacing with turf / plants (preferably not more flax / grasses considering how much has already been planted in the district) — otherwise what? Some fancy pavers on the existing pedestrian crossing of the Main Road (and another at the Ngaio Road intersection) would look nice. But these are things that involve a budget in five, possibly low six figures, not seven. What Waikanae really needs is an underpass for the Elizabeth Street railway crossing and is where money should be spent, see several earlier posts. Item 8: “Establishment of a shared path to the Waikanae River for pedestrians and cyclists.” Does this mean widening the footpath and allocating the increased width to a cycle lane? There is already a parking-free road shoulder in this section suitable for cyclists. Unnecessary. Other than item 6 which is clear, the rest of these statements are standard poorly written, ambiguous waffle that the KCDC ‘communications team’ churns out all the time. Yes, there isn’t a a pedestrian crossing at this intersection — there are only about 10 houses and a couple of business between it and the river. However, there should be some marking and lowered kerbs for the benefit of pedestrians.